Patrolman Stephen Dell'Aquila was killed in a motor scooter collision while on duty. He was on his motor scooter performing traffic duties when a truck swerved to avoid a pedestrian. 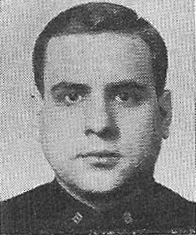 Patrolman Dell'Aquila swerved to avoid the truck but fell from the scooter and was fatally struck by the truck. Patrolman Dell'Aquila was assigned to Traffic Safety Unit B where he served for nearly two years. He was survived by his wife, two daughters, parents, and brother. You will never be forgotten. R. I. P. Officer and thank you for your sacrifice.